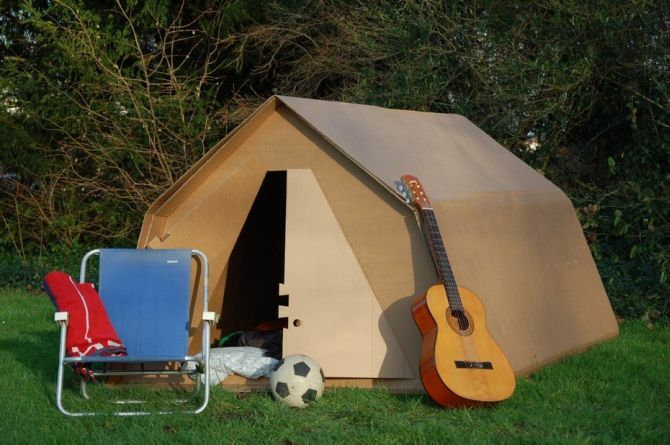 While a regular cardboard tent surely wouldn’t be able to withstand rain, but KartTent disposable shelter can easily survive up to three days of constant rain- all thanks to the extra layers of cardboard for stability and waterproofing. Due to its ability to strongly withstand rainy weather, this recyclable tent is absolutely perfect for outdoor festivals and other temporary uses. 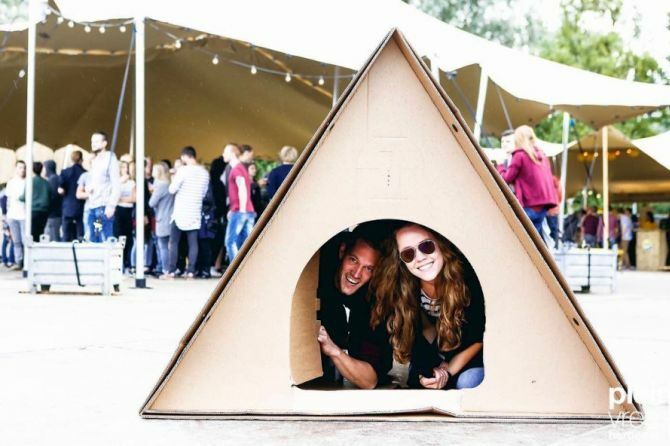 Created by designer duo Jan Portheine and Wout Kommer, the each flat-pack tent weighs 0.6 kilograms and has a 3.3-square-meter floor plan. So, it can easily accommodate two people along with their bags. Plus, the tent is also lined with a non-translucent material that keeps the interior cooler and darker for a comfortable stay even in summer. Besides being lightweight and recyclable, the KarTent can also be customized as per the user’s personal preferences. The team at KarTent offer to print anything on the tent facade- from sponsored messages to personal drawings. 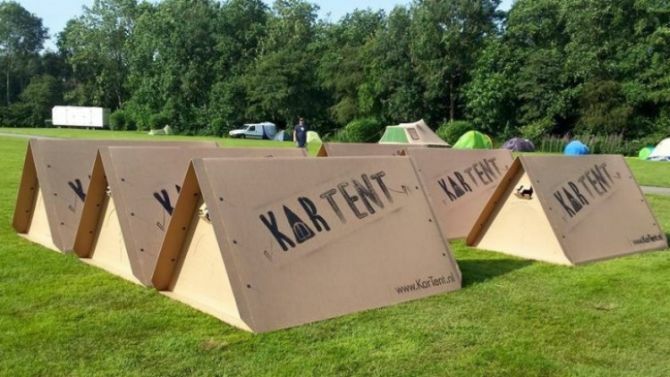 KarTent was tested at multiple festivals in the Netherlands last year. Now, the company is working on a bigger pentagonal version, which will be available for festivals in Belgium and the Netherlands this year. Price ranging from free (for sponsored one) up to €75 (approx. US $83), this disposable tent is certainly the best option for people who want to ditch their tents after temporary festivals, without feeling guilty of adding up to the landfills. 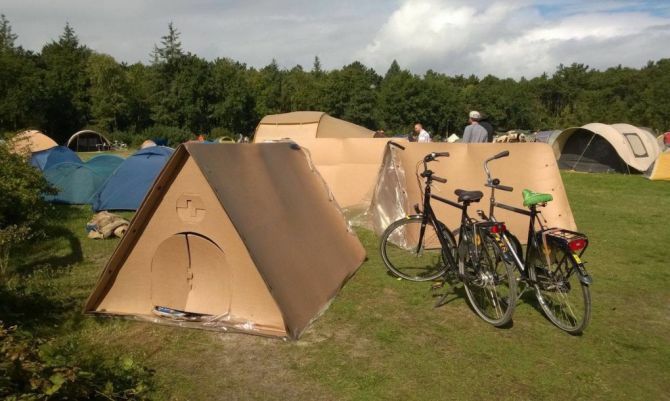 Later, these left behind cardboard tents can be converted into something practical.